On Friday July 22, 2011 a political zealot named Anders Behring Breivik committed multiple murders in the name of his concept of God and right-wing politics. This man was so insane, xenophobic, and full of hate that he decided to perpetrate murder against his own people in the name of God. Some have called this man a “Christian fundamentalist.” I will try not to get sidetracked on the use of this word, but seriously, this is just an inflammatory word that needs clarification. 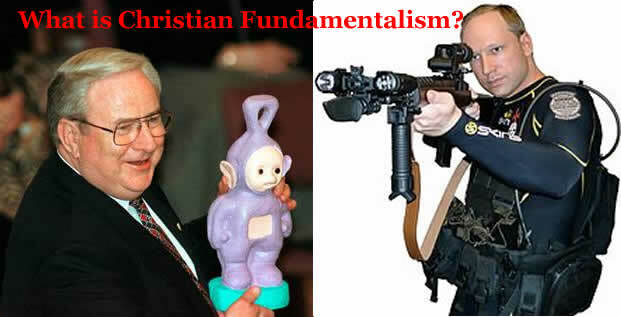 For the media using “Christian fundamentalist,” they could be just as easily talking about Jerry Falwell denouncing Teletubbies as Anders Behring Breivik committing mass murder. Stop using such pejorative terms. Say what the guy really was: a crazed, xenophobic loner, that was so hell-bent on his political system and idiosyncratic religious beliefs, that he decided to murder his perceived enemies. This does not equate to Christian fundamentalism. In similar news, have you heard about what Glenn Beck said? I groan any time I hear someone ask that. For some reason, people think that Glenn Beck speaks for American evangelicals (which is really strange, because he is not an evangelical Christian – he is Mormon). 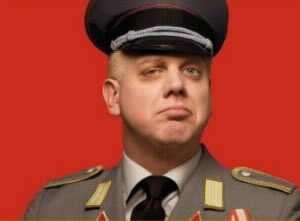 I’m not sure if this was yesterday or today, but Glenn Beck compared the victims of the shooting to the Hitler Youth. Glenn Beck should be ashamed of himself. This is one of the most ridiculous comparisons he has ever made. First, shame on him for saying something so derogatory about the recently murdered (he should apologize to their families). Second, it’s just an awful comparison. Apparently, Mr. Beck thinks that the Hitler Youth were the only political youth group of any consequence to ever have existed. He needs to read more history before he makes such comparisons. Not to mention that this was a center-left political party – not a far-right party like the National Socialists. Third, if he was going to make Nazi comparisons to anyone, it should have been the shooter. Breivek epitomizes much of what was so evil about National Socialism: a vitriolic xenophobia, far-far-right politics, violence perpetrated against political opponents, and the murder of children. Glenn Beck must apologize to the families of the victims, and he must go read a history book (or eight). The rest of us should pray for those still in the hospital and for the families of those who were lost. My prayers are with all the families affected, and I hope Breivek faces the full extent of justice.